Click Here to sign up for news on free tastings & events! 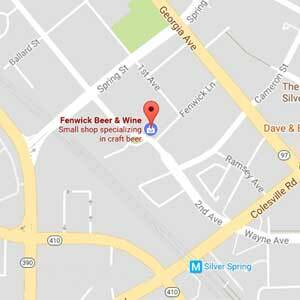 Fenwick Beer and Wine is an individually owned and operated shop with a dedication to the finest products and outstanding customer service. 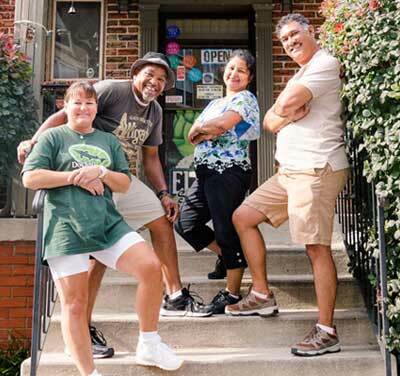 The owners, Suman and Cathy Shrestha, are longtime Montgomery County residents and active members of the community. Our business is happy to support local causes such as school and church fundraising events, so please feel free to ask. Thank you! Over 700 beers! Craft beers, Belgian beers, hard-to-find, and seasonal rarities. Two short blocks from the Silver Spring Metro. Free parking on the premises. Easily accessible by bike and only one block from new Spring Street bike lane and a Capital Bikeshare station. Close to future Purple Line stop.